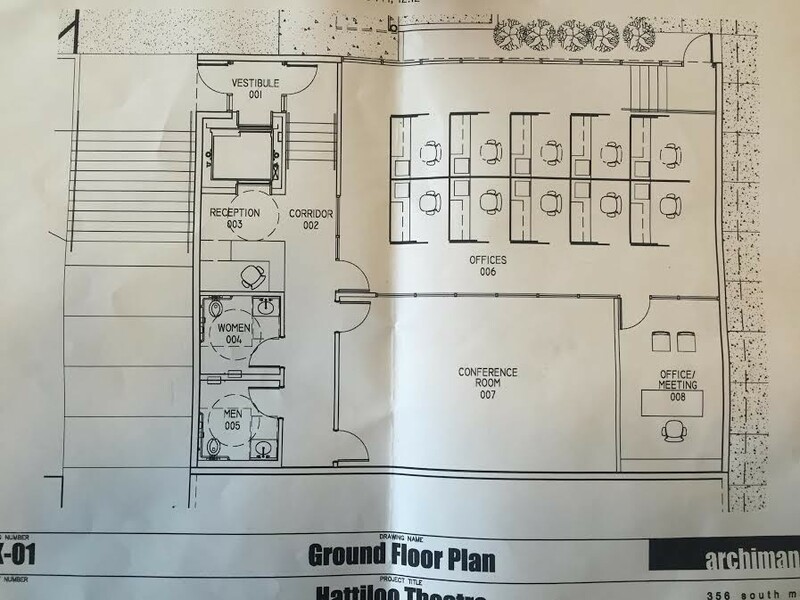 The Hattiloo Theatre to Expand. The Hattiloo Theatre has come great distance in only 10 years. Ekundayo Bandele’s black repertory theater launched in 2006 in a cramped but lovingly converted storefront on Marshall Avenue just north of Sun Studio. Eight years later, following an innovative capital campaign, Bandele moved his company into a new, custom-built playhouse on Overton Square. Now, only 18 months — and not quite two full performance seasons — after the big move, Bandele and his board of directors are preparing to undertake the Hattiloo’s first major expansion. $750,000 in funding is already in place, and plans have been developed to build a two-story, 3,200 square-foot Development Center just off the northwest corner of the existing theater building at 37 S. Cooper at Monroe. “We’re calling it the D.C.,” Bandele says. The list of contributing benefactors for the expansion is only four names long: An anonymous Friend of the Hattiloo Theatre, The Assisi Foundation, The Hyde Family Foundation, and The City of Memphis. Bandele sees the new building as both a solution to his growth problems and as a chance to create more opportunities for theater education and community engagement. “We are definitely going to amp up our youth theater program,” he says. He also anticipates growing a program the Hattilooo started for young adults with special needs. There are also plans to relaunch the Hattiloo Theater School for adults, which focuses on playwriting, directing, and acting. If all goes according to plan, construction on the Hattiloo’s Development Center should begin before the end of the first quarter and be complete before the end of 2016.